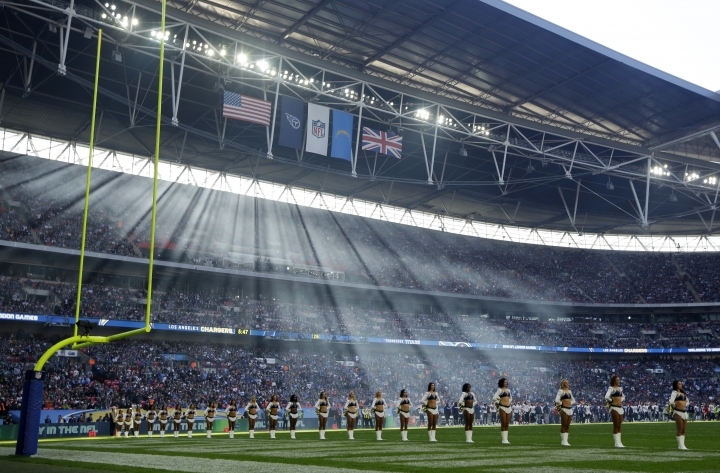 LONDON — The Los Angeles Chargers' Adrian Phillips believes the Tennessee Titans made the right decision to go for a potential go-ahead 2-pointer with 31 seconds remaining — and not just because it failed. "It was a great decision," Phillips said. "That's the game right there. If I'm the head coach, I go for it, too. You have the momentum. You just (went) 70 yards. You've got one of the biggest running backs in the game, one of the best running quarterbacks in the game and one of the best third-down running backs in the game — and a receiver corps that had been doing good all game — so why not?" Rivers, who completed 19 of 26 passes for 306 yards, threw two touchdown passes — one that went 75 yards to Tyrell Williams on Los Angeles' first play from scrimmage, and one that traveled 55 yards to Mike Williams to cap the first drive of the second half. "He ran a route so good that he felt like he needed the ball — and he should," Rivers said. "That's fine. At the same time, the coverage was going his way, so I went somewhere else. It's a passionate, emotional game. That won't be the last argument that any of us have on the sideline and I won't worry about it after 2 seconds."